Joanna Klink has won acclaim for poetry of bracing emotional intensity. 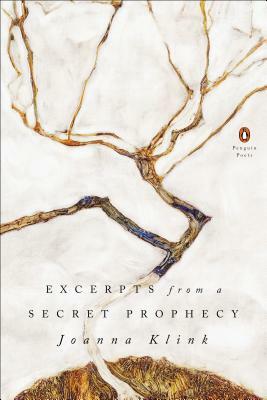 Of her most recent book, Raptus, Carolyn Forché has written that she is “a genuine poet, a born poet, and I am in awe of her achievement.” The poems in Klink’s new collection offer a closely keyed meditation on being alone—on a self fighting its way out of isolation, toward connection with other people and a vanishing world. JOANNA KLINK is the author of four books of poetry, They Are Sleeping, Circadian, Raptus, and Excerpts from a Secret Prophecy. Her poems have appeared in many anthologies, most recently The Penguin Anthology of Twentieth Century Poetry. She has received awards and fellowships from The Rona Jaffe Foundation, Jeannette Haien Ballard, Civitella Ranieri, and The American Academy of Arts and Letters. She teaches in the Creative Writing Program at The University of Montana.